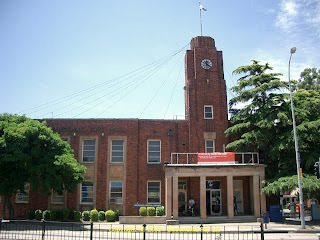 A Rockdale landmark, the Rockdale Town Hall at 448 Princes Highway was designed by Douglas Babbington Gardiner and built in 1940 to replace the original hall (designed by William Kenwood) on the site. This was all part of a general road widening scheme for the Princes Highway at the time. The building has simplified Art Deco details on the exterior which is similar to the Petersham Town Hall. The interior of the hall has elaborate art deco plaster details on the walls and ceiling. 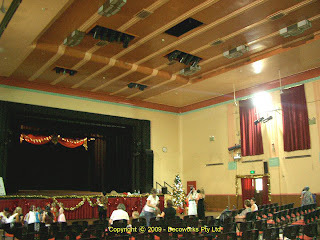 The building is associated with public events such as the coronation of Queen Elizabeth in 1953. It is listed in the RAIA 20th Century Register Of Significant Buildings. 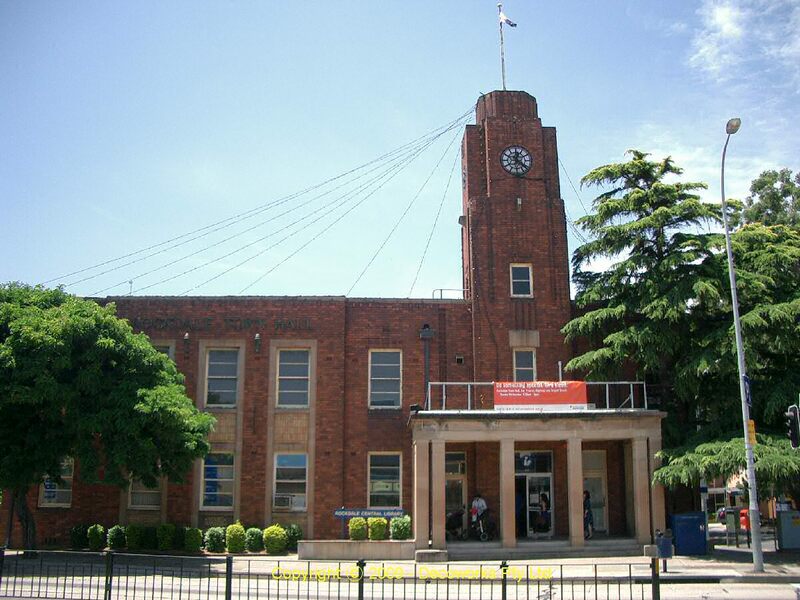 I have confirmed with the Rockdale Library that the Rockdale Town Hall was built in 1940 to a design by Douglas Babbington Gardiner. You might like to change your information on this site. Thanks for taking the time to look into this Castlemate. I have checked the source of the above information (see Rockdale Council link above) and it says G A Henderson was the architect. 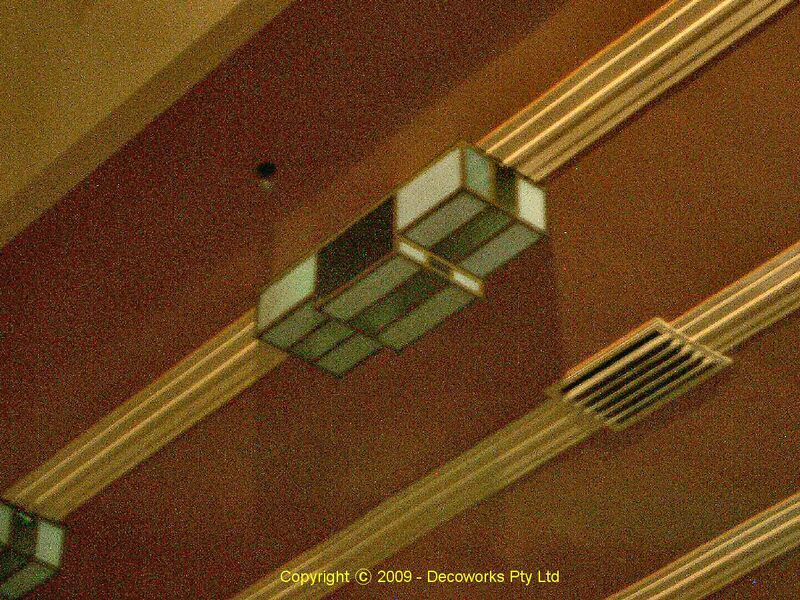 Can you please let me know the reference material you found your information in so I can let Council know they may have the incorrect information on their "Rockdale Art Deco Heritage brochure". Please check with the Library as they have the plans. The tour brochure is incorrect. 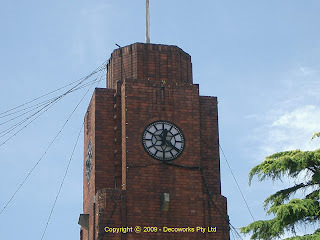 Otherwise you can look it up on the NSW Heritage listings as they also list it as being the work of Gardiner. Does anyone know who G A Henderson might be? The original town hall was designed by William Kenwood. Thanks for confirming that information Castlemate. I have updated the post to reflect the correct information.